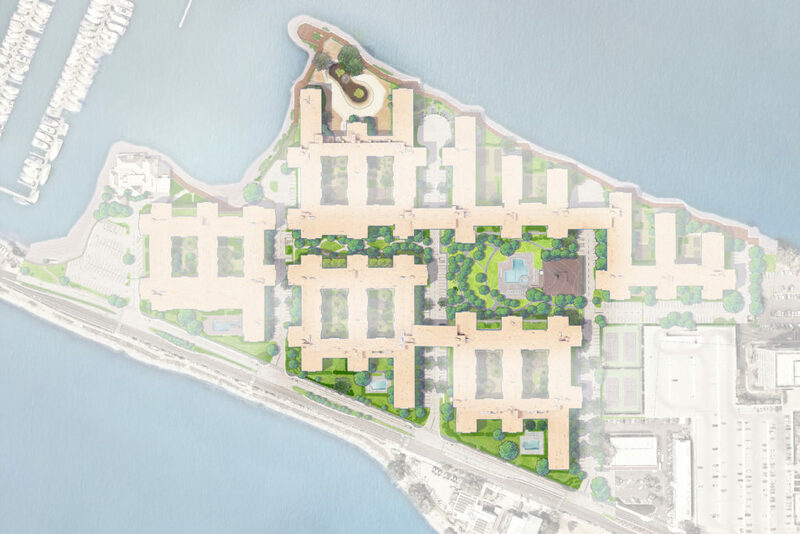 PGAdesign created design plans for the renovation of the existing planting and irrigation system throughout the Watergate development in Emeryville. Following Bay-Friendly practices, the lawn will be reduced and replaced with water-efficient planting. Existing planting areas affected by required EBMUD work to upgrade the sanitary sewer and storm line were also planned for. The new irrigation system, including subsurface drip designs and state of the art technology capable of daily self-adjustment based on real-time weather conditions, will be in full compliance with the tough standards of the current California Water Efficiency Code.